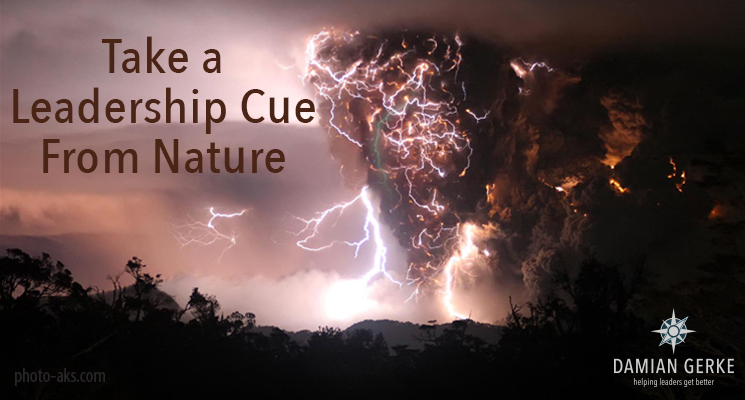 For the next eight weeks I’ll be doing a blog series called Take a Leadership Cue From Nature. The series will use eight naturally occurring phenomena from the world around to illustrate how—if we’re not careful—we can let circumstances undermine our leadership effectiveness. In this age of 24/7 availability, expectations for instant response and engagement, and never-ending streams of data thrown at us, self-care is more important than ever before—and the lack of it is increasingly evident. The eight phenomena described in this series occur in nature, and their outcomes—that range from nuisance to catastrophe—often catch us by surprise. My premise is that, as humans, we are part of the natural world around us. The situations and outcomes we deal with in a leadership context are as natural as the world we live in. We shouldn’t be surprised when we encounter similar conditions in our leadership—after all, it’s only natural. Hopefully, understanding the natural world will bring new levels of awareness of the need to avoid the negative outcomes of poor self-care.